I don’t get to the cinema even half as much as I would love to, or feel I should and this is something I would like to change in 2015. However, I am glad I got to see this as my first flick of the New Year. It sets the bar pretty high. 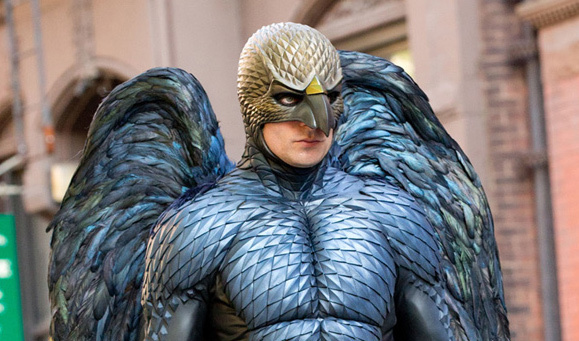 Birdman is really good. I’m not the best reviewer in the world but I do love film and well crafted, well acted pieces, which this certainly is. Michael Keaton (my favourite Batman, fact fans) plays washed-up actor, Riggan Thomson, once famous for playing the titular character in a trilogy of iconic Birdman films. Now he must put aside his ego and issues to make his new play, Raymond Carver’s What We Talk About When We Talk About Love a big success. Can he reclaim his past glory? Well, I don’t know, can he? Does he? Only one way to find out. I will say that I thought this film would be very different. In my head I was expecting something along similar lines to Paper Man (2009) (also starring Birdman’s Emma Stone) and/or Defendor (also 2009) but I realise that was just lazy presumption on my part. 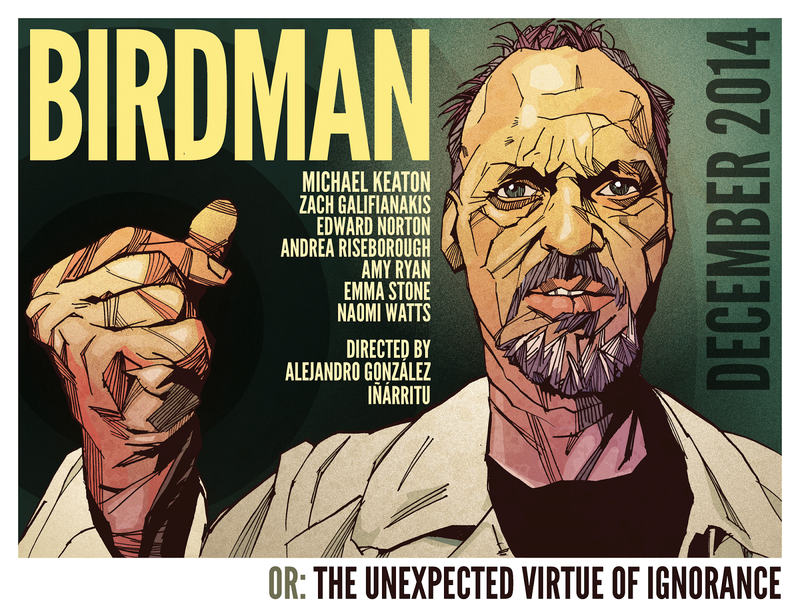 Birdman is something else, in another league to those films, however much I enjoyed them. Shot in long, languid single takes and centred almost solely around one location, the theatre in which the play is being rehearsed (and then subsequently opens), it has a very production within another production feel. I now spend some time Googling what I mean by that, and I’ve got no examples beyond Black Swan (2010), which is funny as two people close to me have separately compared Birdman and, specifically, Thomson’s quest for redemption (and one more blast at recognition) with another Aronofsky flick, The Wrestler (2008). Which of course shares themes with Black Swan (which I adore). 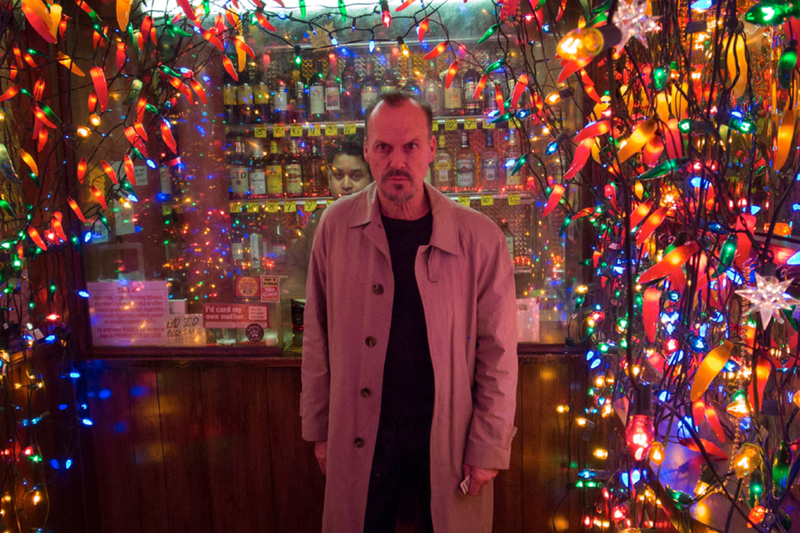 There are big questions that arise from the climax of Birdman, as they did with both those Aronofsky flicks that are interesting but are not something we can discuss here now. I will say that both Glynn and I had different views on how it ended. Again, I can’t say what my view is, nor Glynn’s because: spoilers. But I liked the fact that it was left open to interpretation. Stand outs for me were Keaton, who plays the erratic Thomson perfectly, mixing deep emotion with a quiet desperation. You just want him to do well I think and feel sorry when things look fraught or unlikely to pan out the way he wants. There are scenes that call on him to be very raw and he holds up wonderfully, staying likeable almost always. I like Riggan, even in his exchanges with his family when he’s being frustrating. I very much enjoyed Emma Stone, as Riggan’s daughter, Sam, who has just recently come out of rehab. Now working as her father’s assistant, she still carries the scars of early life without him around and displays a quiet anger for much of the film. Forming a bond with Mike (Edward Norton), the intense new method actor called in to take over one of the main parts in the play, may in part be an act of rebellion but in fact the scenes between them are quite sweet and give Mike more depth, turning him into less of a caricature of a theatre actor, into a living man. That’s maybe down to the romantic in me because that’s not really saying much, he’s pretty dickish. Rumour has is that the character of Mike is a parody of Edward Norton himself, based on perception of him as an actor. I assume if this is true that he knows and plays up the character deliberately. If it is, then I like him a bit more now and he does play it well, Norton at his subtly maniacal best. Other highlights (SPOILER ALERTS) are the scene in which Riggan accidentally gets locked out of the auditorium during an interval and inadvertently becomes the King of the Internet (a medium he has nothing but disdain for), and every scene featuring Lindsay Duncan as theatre critic Tabitha, who is resolutely out to destroy Riggan and his play. 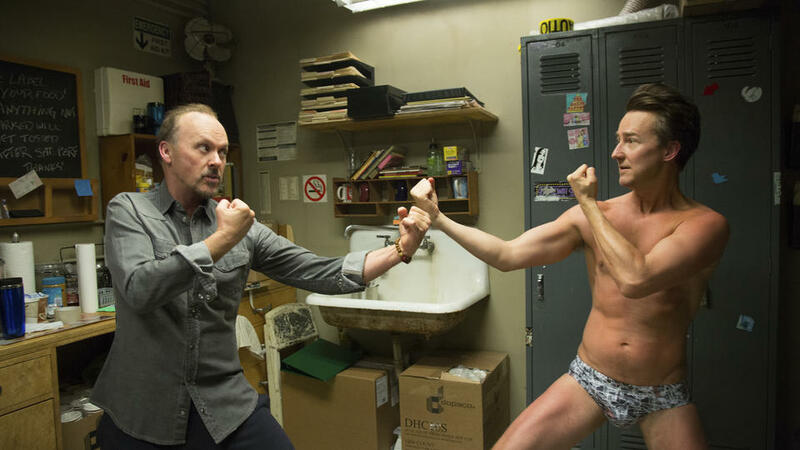 I realise that I’ve hardly mentioned the surreal aspect of Birdman and especially the titular ‘character’ but believe me this has been deliberate. These elements are for you to discover and then ruminate upon yourself. Let me know what you think if you see it! This entry was posted in A Voluptuous Mind, Opinion, Stuff I Dig, The Movies and tagged Birdman, Black Swan, Darren Aronofsky, Defendor, Edward Norton, Emma Stone, Lindsay Duncan, Michael Keaton, Paper Man, Raymond Carver, The Wrestler, Theatre, What We Talk About When We Talk About Love on January 9, 2015 by Christa Bass.